Queenstown is recognised as New Zealand’s premier tourist destination. Nestled on the shores of Lake Wakatipu, Queenstown is a popular destination in both winter and summer. After you have spent some time enjoying Queenstown, the best way to see the rest of New Zealand’s beautiful South Island is to book a Queenstown Airport motorhome rental, campervan hire or RV (recreational vehicle). You can pre-purchase holiday parks and camping sites online prior to your New Zealand holiday. You should either pre-book them to a fixed itinerary (suggested in peak times, and with prearranged routes); or buy open dated vouchers for New Zealand Holiday Parks and campgrounds, that you can use when you travel in New Zealand. As Queenstown is an inland city, once you have hired your campervan from Queenstown you will need to decide which way to head. Popular routes are to either head northwards to the top of the South Island either along the east or west coasts. Heading up the west coast of the South Island in your campervan rental from Queenstown you can explore rugged New Zealand at its best. Your Queenstown Airport motorhome rental or RV hire gives you the freedom to explore at your leisure. 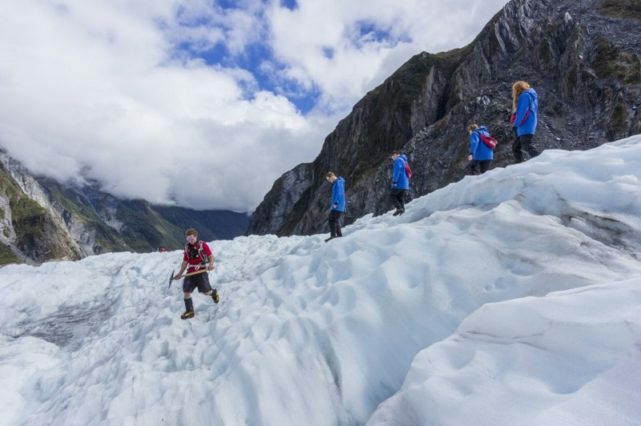 Franz Josef is an area of New Zealand’s Southern Alps; you can explore mountain peaks, impressive glaciers, tranquil lakes and raging rivers. Explore the base of the glaciers on foot or take a scenic flight. Further north from Franz Josef is Westport a historic coal-mining settlement. The town’s museum has exhibitions and photographic displays that tell the story of the region. Another popular attraction to visit is the seal colony. If you decide to take your campervan hire or RV rentals along the east coast of the South Island you can explore the South Island’s two biggest cities, Dunedin and Christchurch. Dunedin is an historic university town. It was first settled by the Scottish and is often called the “Edinburgh of the South”. Christchurch is in recovery mode after the earthquakes that stuck the city in 2010 and 2011. There is still plenty to see in the city including the Antarctica Centre. On the way visit magnificent Mt Cook, New Zealand’s highest Mountain; and don’t forget to stop at Lake Tekapo and see the beautiful Church of the Good Shepherd on the lakefront. Both give you great photographic opportunities. 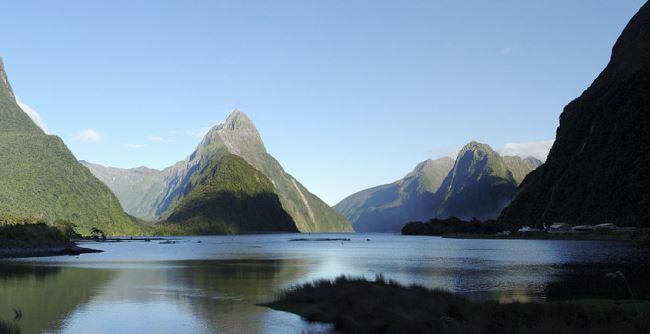 Milford Sound and Fiordland are on many tourist’s bucket lists. Motorhome rental from Queenstown New Zealand is the ideal way to travel to this remote region of the country; and also means that you do not have to worry about booking accommodation. Enjoy a cruise on Milford Sound with its sheer cliffs, cascading waterfalls and majestic Mitre Peak or walk one of the many tracks in the Fiordland National Park, which include three of New Zealand’s “Great Walks”, the Kepler, Routeburn and Milford tracks. Hiring a campervan in Queenstown means that your hiking gear, essential to walking in this part of New Zealand, stays out of the way for the rest of your travels.